Unless you are a rock music historian, you probably do not remember Gram Parsons. He was a country-rock singer and musician who played on many of the groundbreaking groups of the 1960s. He had the distinction of flaming out and quitting groups just before they made it big. He had stints with such groups as The Byrds and The Flying Burrito Brothers - whose members later formed the Eagles. He had close ties with the Rolling Stones, Emmylou Harris, and a host of rock musicians who were on the cusp of making it in the industry. But Parsons was always leaving the scene when the big time called. A lifestyle of drug and alcohol abuse took their toll on Parsons. He died of an overdose in 1973 at the age of 26. The biggest thing that happened to Gram Parsons was after he died. Apparently he and his friend, Phil Kaufman, had made a pact with each other at a funeral for another friend. They agreed that whoever died first, the surviving friend would take the body of the deceased into the desert and cremate it while toasting the dearly departed person. When Parsons died, his body was to be flown back to New Orleans where he had grown up. Kaufman borrowed a beat up hearse. He found out where Parson's casket would be located at LAX Airport. Dressed in cowboy attire and severely inebriated, Kaufman somehow convinced airport workers that the plans for Parson's funeral had changed and he would be taking the body by hearse to the funeral home instead of flying it back to Louisiana. They released the body to Kaufman. He drove it into the Joshua Tree National Forest and found a spot near Cap Rock. That is where they dragged the casket out of the car, opened the cover, dowsed the body with 5 gallons of gasoline and tossed a match to it. A giant fireball lit up the night sky. Kaufman and his friend became frightened that the police were following them and the fireball would tip off their location. They fled, leaving behind the charred remains of Parsons and his casket. Even in death, Parsons flamed out prematurely. His remains were sent to New Orleans for burial. Kaufman was later arrested and charged with stealing the casket. Since Parsons was dead, he could not be charged with kidnapping. He held a benefit party to pay off his $700 fine. 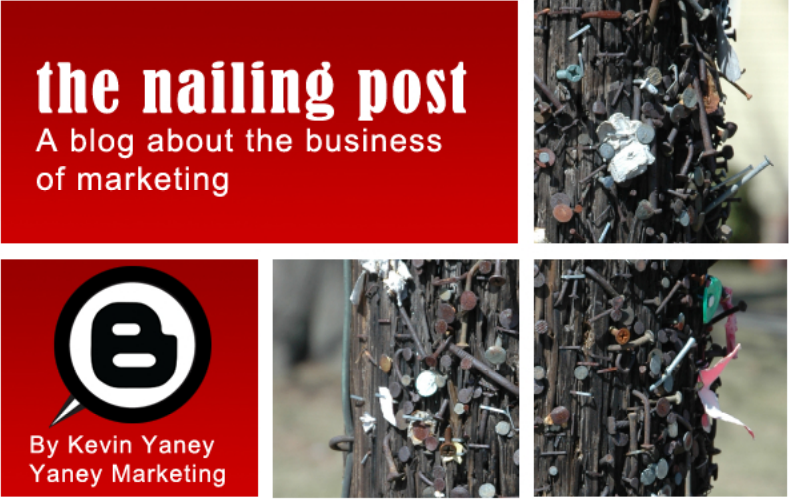 What does any of this have to do with your marketing efforts? First of all, putting a marketing campaign together takes a lot of work. Coming up with a creative idea that you think will resonate with your customers is real work. Getting a customer to bite on what you are selling is sometimes an elongated process that calls for patience. Too often companies declare a marketing campaign dead before it has a chance to have any impact. This leads to jumping from one thing to the other with little to no effect on your sales. 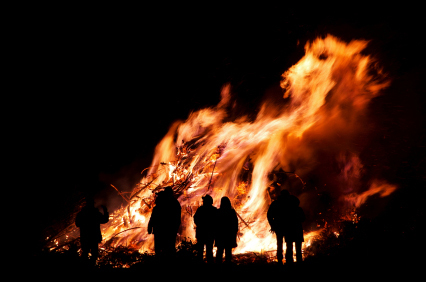 If you are in charge of marketing for your business, here are some things to consider to keep you from flaming out. First, most customers go through a proving process when deciding to buy a product or a service. The process goes something like this: prove that I need this (in other words, prove your worth), prove that it really works, prove that it is worth the price you put on it. When you are putting your marketing campaign together, you need to anticipate these proofs and build the answers into your marketing message. Secondly, remember that there are right and wrong times to try to market your wares. When is the best time? When a customer desperately needs it. The proving process is always shorter when a customer is in a hurry. Understanding purchasing cycles is critical to marketing effectively. (See my article, Purchasing cycles: the art of good timing in marketing.) I had a hamburger for lunch today. I saw an ad for a new Burger King hamburger at 11:00 a.m. They reached me when I was thinking about what to eat and it was all I could think about until I stopped by one of their restaurants. What impact do you think the same ad would have had on me at 1:30 p.m. when I was neither hungry nor thinking about my next meal? It is important that you approach a customer when the need is there. Otherwise you will be lost in that perpetual, I-am-not-ready-to-make-a-decision mode. Thirdly, don't get the progressions of marketing mixed up. Progressive marketing goes like this: awareness marketing, first time sales marketing, retention marketing. If you expect an awareness marketing campaign to bring you first time sales, you are getting the cart ahead of the horse. Build different segments of your marketing campaigns to achieve different goals. Be smart about your marketing, and be patient.